the solarblogger: Why Choose a Career in the Solar Industry? Comment and opinion on the solar industry and its development, low-carbon construction and refurbishment, and Government policy in relation to energy efficiency and renewables. Why Choose a Career in the Solar Industry? Why should anyone take a job in the solar industry? It may seem like a strange time to be talking about a skills shortage just after Feed in Tariffs have closed, government is yet to set out a clear route to market for exported electricity, and in the week that Ikea pulled its domestic solar offer in the UK. But that's what I'm hearing from colleagues. They talk of job adverts sitting open for months on end, difficulty getting electricians to take roles in solar and people moving out of solar divisions and back into regular M&E contracting or roofing. The challenge, I believe, is one of perception - that solar is just a fad - lots of installations while the government paid for them, but all gone today, right? Feed in Tariffs were cut, and cut again, and have now been taken away. Solar farms once popped up like mushrooms and then years went by without ground being broken for a new one. Taxes have been imposed on businesses with solar panels, higher electricity standing charges are proposed for people with solar on their homes. Solar boom then bust, and bust and some more bust is the diet that the news media has fed the public. Little wonder colleagues across the industry are saying that attracting talent right now is proving to be a challenge. Our industry has driven forward at a pace that has regularly sent waves of panic through those government departments tasked with supporting the transition to a green economy. Support scheme after support scheme that looked well-designed and rational when announced were quickly overtaken by the relentless and rapid innovation of the solar sector. As solar costs fell, financial returns rose, deployment volumes exploded and government support schemes ran out of money. Spain, Italy, Germany, UK - the list of countries rapidly back-tracking on support schemes goes on. Economies of scale, automation of manufacturing, ever-higher solar panel efficiency, new financing models, reduced risk for investors - all these have driven down the cost of solar and increased the financial attractiveness of the technology. Crucially, this happened at a speed that governments were unable to respond to. The result was often a knee-jerk approach to policy development. Our industry has often, by necessity, been complicit in the tone of the media coverage, publicly regretting the reckless treatment of theindustry by our government, while at the same time talking up the long-term prospects. Inevitably, press coverage focused on the negative messages. Faced with cliff-edges created by government flip-flopping, what would you expect a solar installation business to do, apart from tell people to 'get in quick' before they take it away? Regrettably, the industry's own marketing has also helped create the message that solar is only a 'fad'. No more! The era of solar as 'subsidy-junkie' is over. A tipping point is already here. In more and more applications, in more and more climatic zones, solar stands without need for grants or support schemes. Every new innovation that drives down the cost of solar energy simply expands the number of applications where it pays for itself and grows demand for solar equipment, installation and maintenance services. As demand grows, economies of scale increase, which drive down costs again and a virtuous circle is created. In sunny climates solar already competes with all othersources of electricity generation at wholesale prices. In less irradiated places like the UK solar-generated electricity is cheaper than retail electricity, particularly large scale solar applied to commercial buildings or as ground arrays with an energy supply agreement with a large consumer of electricity. For new buildings reaching for ever higher energy efficiency standards and for low energy refits of existing buildings solar is a necessary demand-reduction measure, reducing electricity consumption from the grid. Millions of new electric vehicles will achieve similar results for the cost of batteries. These vehicles, each with a range that far exceeds most people's daily requirements, will store electricity generatedduring the day and release it at night, enabling ever-higher quantities of solar on the electricity grid. As well as electrifying our transport, it is now widely accepted that the heating of our buildings must also be electrified. In a move away from carbon-emitting gas and oil - we will be using either heat pumps or direct electric heating and high levels of thermal insulation to keep our buildings warm. Demand for electricity will increase significantly - greater efficiency of appliances and gadgets will only offset the increase in their number. They would be joining a growth industry with strong fundamentals, an industry that will support a long career. Work that provides meaning and clear social benefits is more and more important to everyone, but especially younger people setting out on their careers. The solar industry offers socially rewarding work, where you feel part of the solution rather than part of the problem in the fight against global climate change. Roles in the solar industry offer transferable skills such as project management, risk management, international supply chain development, electrical and structural design. So what do you think? Are you finding it difficult to recruit? If so, what do you think the industry could and should do about it? Hi Solarblogger, as you know the Solar PV Industry is booming up here in Scotland. 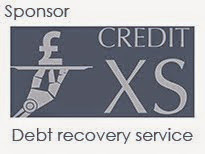 One issue we have is trying to expand the teams we have across the whole business, we don't have any member of our staff that's came into the industry as their first choice of career, electricians, roofers, CAD engineers, project managers all starting in other areas of construction. What would be good is a route for school leavers into the Solar PV industry, a training matrix with oversite and a national recognised qualification, what we do isn't going away and we need a strong foundation of staff to service the industry. The work we do is enjoyable and can be extremely satisfying and I believe there's many long term careers prospects, we just need to find the people to fill them. 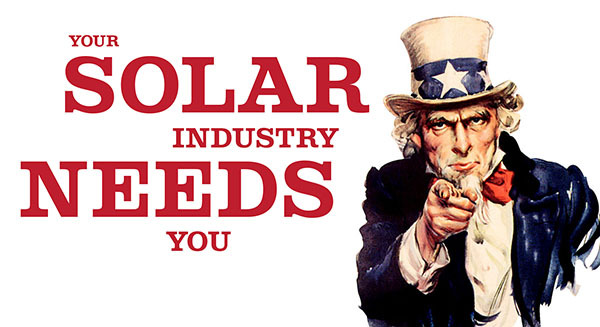 Great article by @thesolarblogger about recruitment into #solar solarblogger.net. What we'd like to see in the industry is a renewables apprenticeship to include design, specification, plumbing, electrics, roofing, hands-on practical skills. Currently nothing out there. Stuart Elmes is founder and Chief Executive of Viridian Solar, a company that manufactures beautiful, roof integrated solar photovoltaic panels. What is a PERC Solar Cell?